Pictured: The scenes of two fatal accidents that occurred since Saturday evening. Two people were killed and several more were injured as a result of two different motor vehicle accidents in the Erongo Region since Saturday night. The latest motor vehicle accident claimed the life of a young man from the United States of America. According to Deputy Commissioner Erastus Iikuyu, Erongo Regional Crime Investigations Coordinator, the 35-year-old man from America was driving a Toyota Fortuner in a convoy of five vehicles when the accident occurred. Deputy Commissioner Iikuyu the actual cause of the accident that occurred around 13:30 on Sunday still has to be determined. He said the name of the deceased person will be made available once his immediate family is informed about his untimely death. 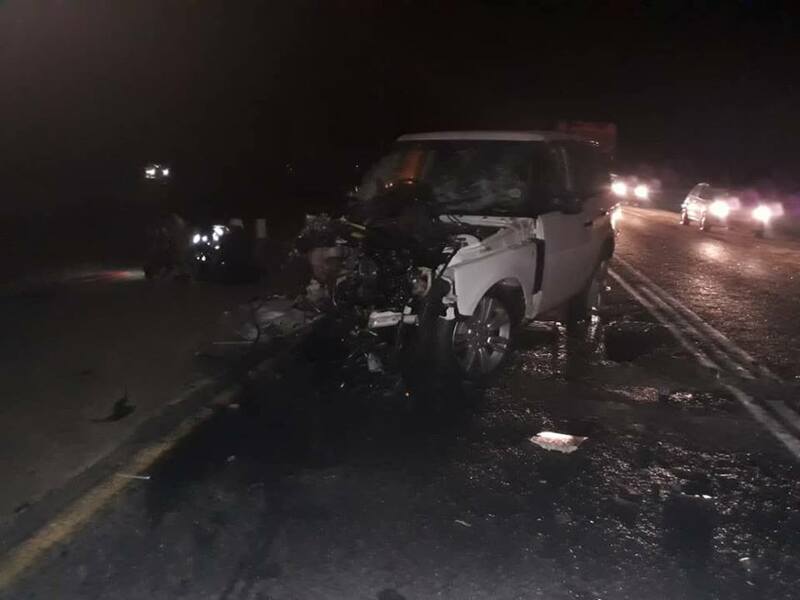 The first fatal motor vehicle accident occurred at about 23:45 on Saturday evening when the driver of a white Toyota Hilux bakkie crashed head-on into an oncoming Range Rover after he initially lost control over the vehicle. According to Deputy Commissioner Iikuyu a third vehicle was also involved in the accident. 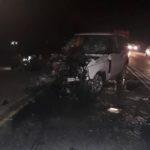 Deputy Commissioner Iikuyu said the driver of the Hilux died instantly while the driver and three passengers in the Range Rovers survived with injuries ranging from serious to moderate. He said the driver of the Run X and his three passengers sustained only slight injuries. All the injured parties were transported to hospitals in Walvis Bay for further medical care. In the meantime a pizza delivery man from Walvis Bay, the 30-year-old Johannes Elia Utah, is currently fighting for his life in a Windhoek hospital after he was seriously injured when he drove his delivery motorcycle into a Range Rover that turned in front of him. Deputy Commissioner Iikuyu said the pizza delivery man sustained serious injuries and was transported to Windhoek from Welwitchia Private Hospital for further medical treatment while the driver of the Range Rover did not sustain any injuries.